Smart Search, New Section Actions and More! 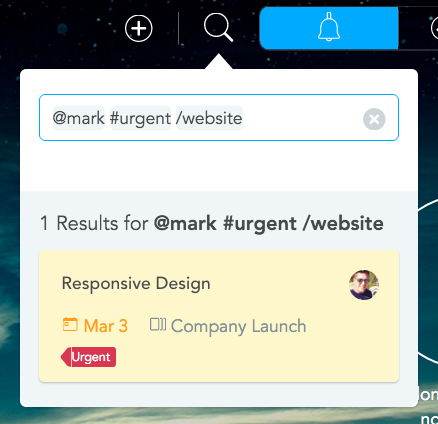 Introducing Smart Search for MeisterTask, new Section Actions and more, in our latest version of MeisterTask. Read on for details! 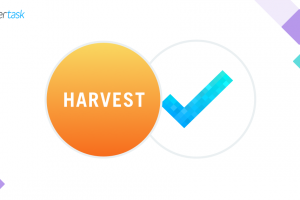 Refine your search criteria and find tasks faster than ever: MeisterTask now offers smart search suggestions for assignees, tags and sections, as well as scoping queries to your current project. 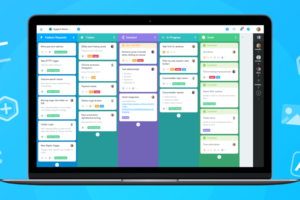 Whether you’re using the search field on your dashboard or within a project board, no task will be able to elude you now. 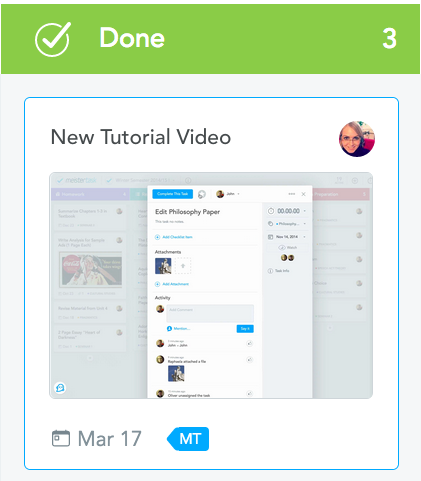 Just like images, videos attached to tasks are now displayed as pretty little thumbnails in your project boards, making sure you can spot them all at a glance. Of course, you can always turn off Inline Thumbnails in your Appearance Settings if you want to save space or if your boards are just getting a little too colorful. 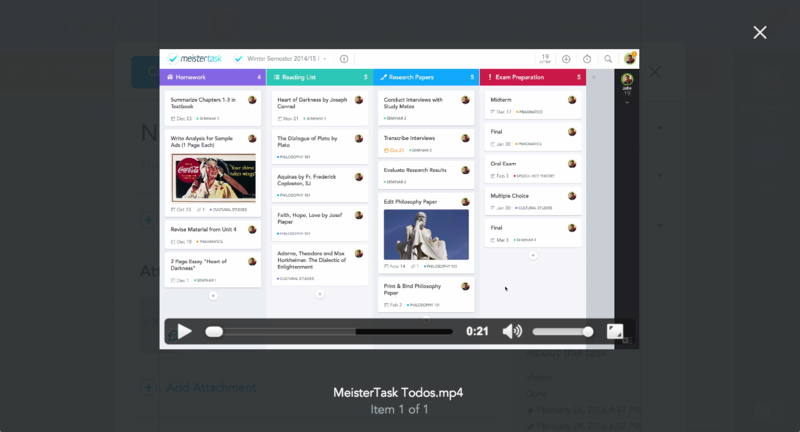 Most video formats can also be previewed directly in MeisterTask, so you don’t need to download the file in order to watch it. 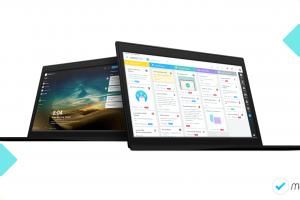 We weren’t completely happy with the old dashboard widgets “My Tasks” and “Focus“, and many of you agreed that there should be a better way to quickly get an overview of your to-dos. Enter dashboard tabs, a concept our iOS app is already using with great success. 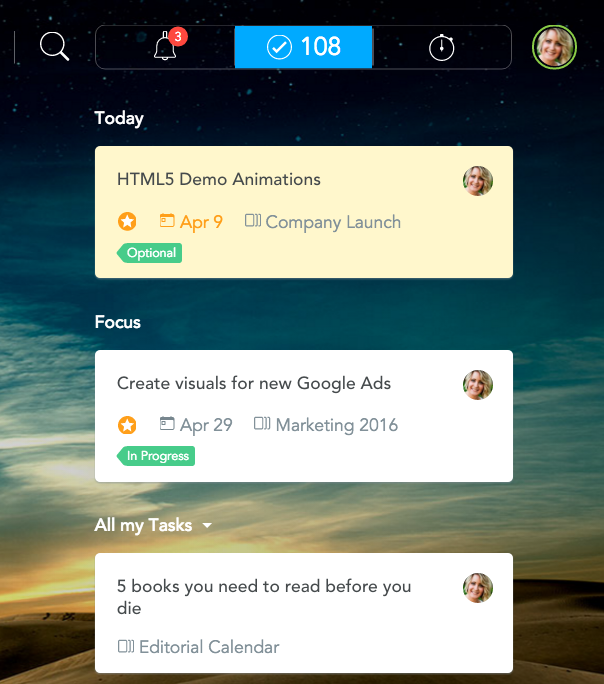 Using the tabs you quickly switch between your notifications, your tracked time and a list of all your active tasks. 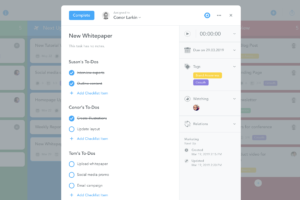 The list shows due and overdue tasks at the top, followed by tasks you manually starred, followed by the rest. 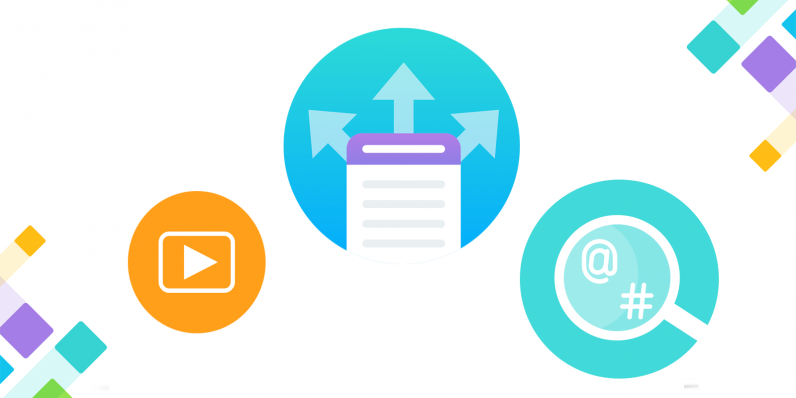 As if you needed another reason to become a Pro user—We just added three fantastic new Section Actions to MeisterTask that’ll automate some common steps in your workflow, thus saving you a little time with every task. ICYMI: Section Actions are performed automatically whenever a new task is created in or moved into a specific section in your project. You can configure multiple actions for each section. 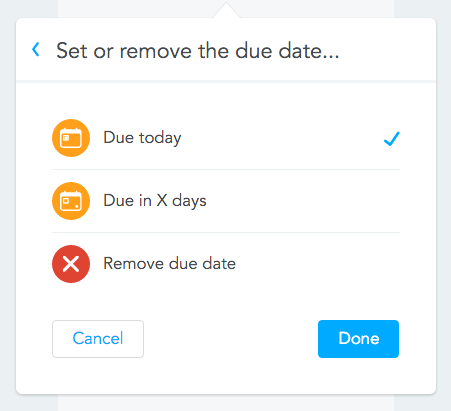 Set or remove the due date of a task with this Section Action. You can choose between using today’s date or configuring a time in the future (e.g. 10 days after the task is inserted in the section). Pretty straightforward, this action either starts or stops the timer on your task—a great automation for your ‘In Progress’, ‘On Hold’ and ‘Done’ sections. 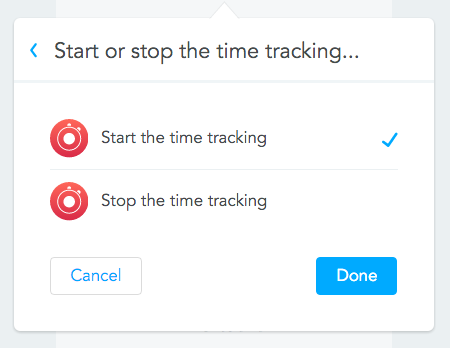 Be sure to activate the time tracking feature in your project settings first! 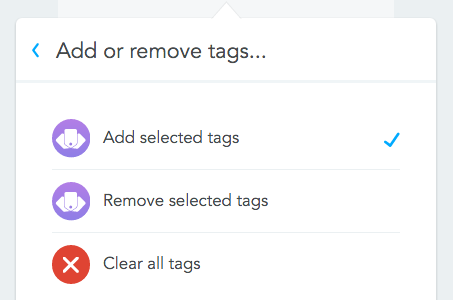 Select which tags you’d like to add to or remove from tasks, or simply remove them all. This is a great action for people working with multiple projects. 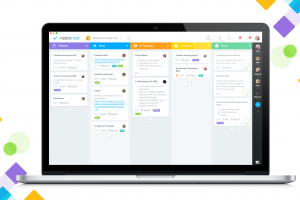 For instance, your backlog project might be set up with sections like “Design”, “iOS” and “Server” whereas your sprint project might use a Kanban-style workflow with “Open”, “In Progress” and “Done”. The auto tag action then lets you assign the section titles as tags to tasks in your backlog, and those tags remain attached to the task when you move them to the sprint project. For this to work, be sure to add the respective tags in the project settings of both your initial and target project! By the way, a couple of weeks ago we added another cool Section Action that Microsoft users shouldn’t miss: The action automatically notifies your entire Office 365 Group about new tasks. Check it out! Not a Pro User Yet? Pro users get unlimited Section Actions and integrations as well as statistics and reports. Give yourself and your team that little extra productivity boost by going Pro now! Get my productivity boost now! The new \”My tabs\” is a great step forward! The only issue I have is that I can\’t find the option to sort the tasks by their due date (I would say the most default view one could want). Did I miss it or is this really not in? I would like to see what tasks are due in the next couple of days and I can\’t do that now. Even on the per project basis I can only see the tasks due this week but not for tommorrow or in two days time. This looks like a bug. Tasks are supposed to be sorted like this: due/overdue tasks first; then tasks that are in \’Focus\’; then the rest of your tasks, sorted by due date, like you said. 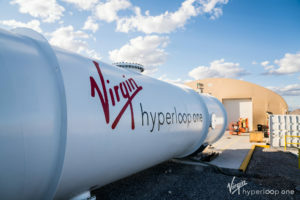 The team is already looking into it! Habilitei a opção de \”Time Tracking\” no meu projeto e nas seções, informei para iniciar automaticamente. No entanto, o \”auto time tracking\” não ocorre. As demais ações da seção funcionam corretamente. Estou testando a versão \”Pro\”. Hi Diego, apologies – our Portuguese is not that good. If you\’re experiencing issues with time tracking in MeisterTask, please contact [email protected] for assistance!